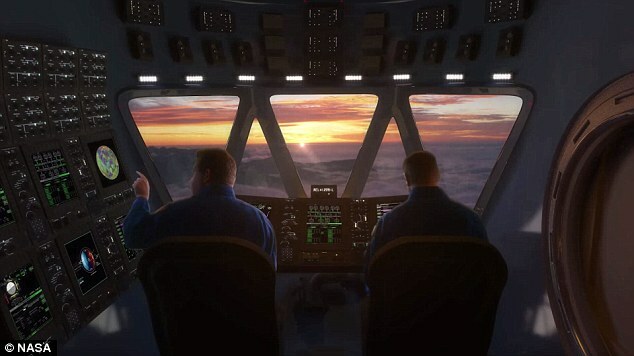 NASA’s Project HAVOC (High Altitude Venus Operational Concept) is a plan to colonize Venus with cloud cities in the atmosphere, due to its surface temperatures averaging 460° C. Believe it or not, such a mission would be possible now using current technology, as it would make use of airships which can stay afloat in the upper atmosphere for extended periods of time. The upper atmosphere of Venus, between altitudes of 50km and 60km, is the most Earth-like location in the solar system, since the pressure and temperature can be compared to regions of our lower atmosphere. Continue reading for another video and more information. “The atmospheric pressure in the Venusian atmosphere at 55km is about half that of the pressure at sea level on Earth. In fact you would be fine without a pressure suit, as this is roughly equivalent to the air pressure you would encounter at the summit of Mount Kilimanjaro. Nor would you need to insulate yourself as the temperature here ranges between 20°C and 30°C. The atmosphere above this altitude is also dense enough to protect astronauts from ionising radiation from space,” according Daily Mail.